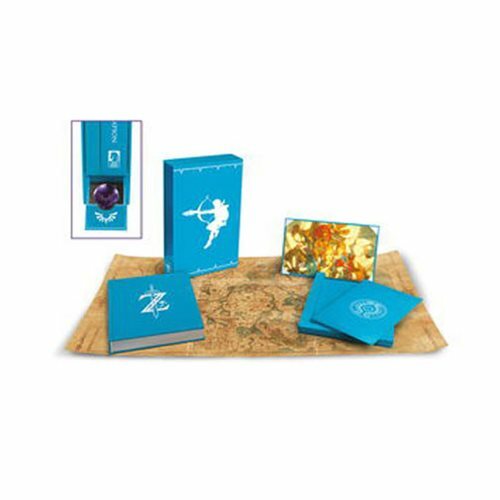 This deluxe slipcase edition features the royal blue worn by the Hylian Champion and includes the Creating a Champion art book with an exclusive cover, a map of Hyrule printed on cloth, an art print of the Champions' photo Link hangs in his Hateno home, and a beautiful glass replica of a spirit orb. Bring light back to Hyrule with the Hero's Edition! The Creating a Champion art book is the ultimate companion to the award-winning video game The Legend of Zelda: Breath of the Wild and includes material from its DLC packs. Witness the making of a champion! 424 pages.